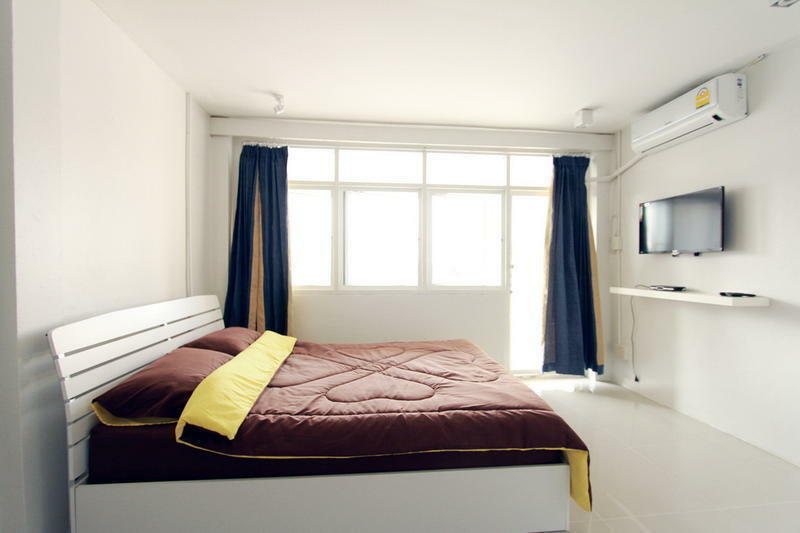 Located in the heart of Bangkok, we are only two minute walk from Taksin Skytrain Station and the ferry pier. You can find 24/7 bustling street food scene, get a taste of how Bangkokkians live, enjoy a stroll along Charoenkrung, one of the oldest streets in Bangkok, and have easy access to all area with the skytrain and the ferry. Spend your time shopping at Asiatique the Riverfront, or visit the grand palace after a 20 minute ferry ride! Our young and hip hostel offers air-conditioned accommodations and free Wi-Fi in all areas. We offer 8-bed dorm rooms, double and single bedroom with or without bathroom for your stay. Each unit is provided with a safety box and a reading light. An en suite bathroom is equipped with shower facilities. Its prime location makes it a perfect spot for your shopping experience to Asiatique the Riverfront. Siam Paragon and MBK Mall are also only few Skytrain stops away. If you want to trace back to the old City of Angel, a 20 minute boat ride from the Taksin Pier can take you to the Grand Palace as well as the bustling Khaosarn Road. A range or local restaurants are also located within 5 minute walking distance. For your convenience, the residence offers a 24-hour front desk. Our super friendly staff can help you with sightseeing and travel arrangements. At Bangkok Hub, your satisfaction is important to us. We are trying our best to make sure that you are enjoying your stay with us. Take the Skytrain to Taksin Skytrain Station and exit at Exit number 2. From there, walk along the Charoenkrung road southward. Within one or two minutes you will see Bangkok Hub hostel on your right hand side.